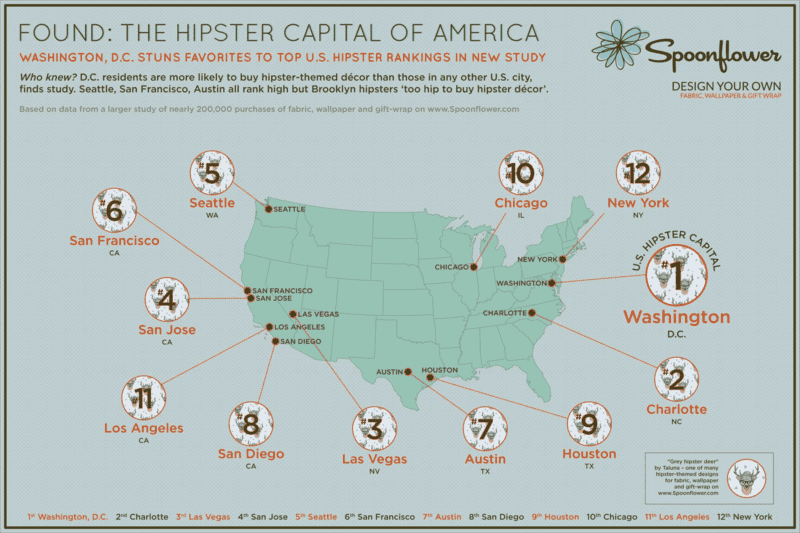 DURHAM, NC, Nov 23, 2015: Washington, D.C., has been named the first official “Hipster Capital of America” in a study based on the décor-buying habits of consumers across the country. 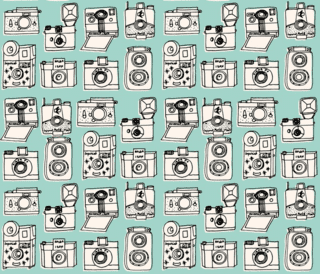 D.C. residents are more likely to buy hipster-themed décor than those in any other U.S. city, according to the website Spoonflower (www.spoonflower.com), which lets customers design, print and sell their own fabric, wallpaper and gift wrap. This makes Washington the place to live for fans of wallpaper showing cats in hipster shades and drapes festooned with deer wearing hipster hats and large-framed spectacles. 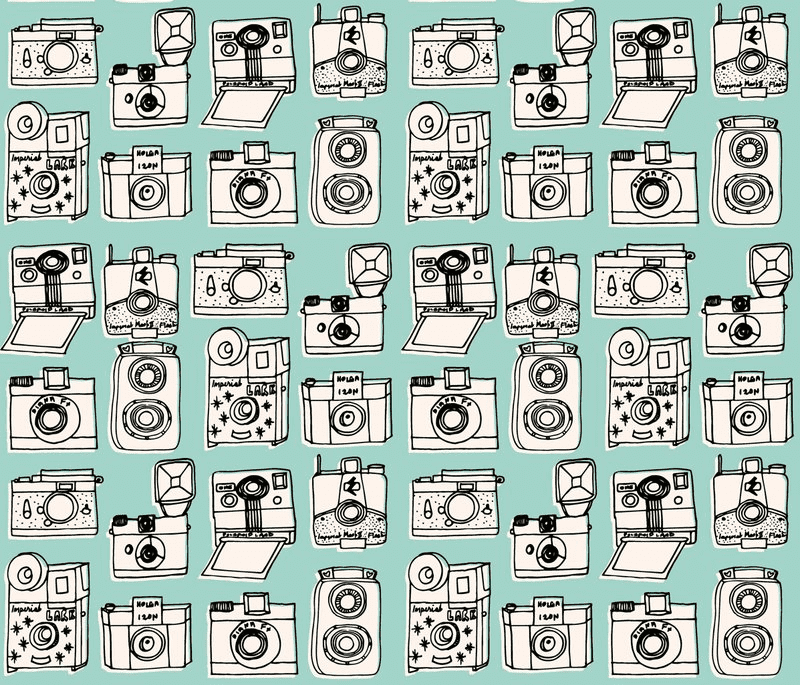 Cities with far hipper reputations, such as Seattle, San Francisco, Austin and New York, all make Spoonflower’s list of 12 hipster hotspots but D.C. beats them all in the first national rankings of U.S. cities by their propensity to buy hipster-themed décor. California, meanwhile, seems the top hipster state, with four cities in the top 12. The rankings are based on data extracted from a larger study of nearly 200,000 purchases on Spoonflower, which the site has used to create the first ‘Décor map of America.’ This shows the best city to live for fans of 19 different design styles – from paisley to polka-dots, Victorian to mid-century modern, and zombie to hipster décor.